← Now Available at Rainbow Resource Center! The Master and His Apprentices is entering its debut school year with the approach of the 2018/19 fall semester. 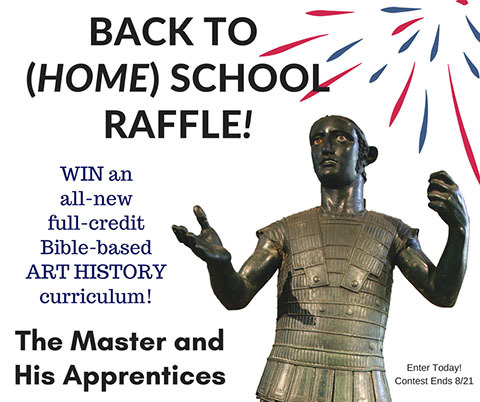 To kick-off the back to school season, we are raffling off a FREE copy of The Master and His Apprentices art history curriculum! The Master and His Apprentices is a full-credit art history curriculum for high school students. The textbook doubles as a great read for adults and also provides helpful supplementary material for younger students. 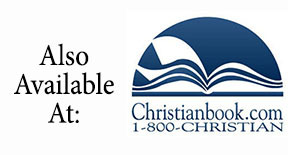 Furthermore, the curriculum is written from a Christian perspective and is ideal for private Christian schools as well as homeschool families. 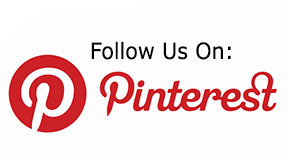 You can read our reviews or check out some of our samples pages for more information. TO WIN a complete digital textbook and digital teacher guide set, simply enter by using the form below. The contest runs from 8/7-8/21 and you can earn additional entries by sharing contest details or visiting us on social media! We will select a winner randomly from all eligible entries on 8/22/18 and contact the winner at that time. Likewise, you can also check back here to see who won. We pray this upcoming school year is a wonderful time of growth and development for your family! Winner Update: Congratulations to Holly V. and family for winning The Master and His Apprentices textbook and teacher guide in our “Back to (Home) School” raffle!